Join Instructors Kevin Wathey & Debbie Popiel on a 8-day (7 nights) Yoga & Wellness Retreat at Stunning Bodhi Tree Yoga Resort in Costa Rica! 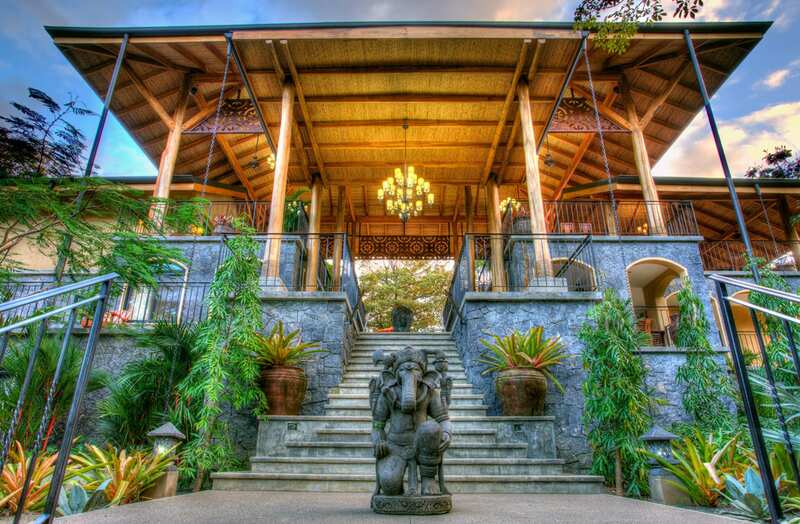 Join Instructors Kevin Wathey, Founder of Synchronicity Yoga &amp;amp; Debbie Popiel on a 8-day (7 nights) Yoga &amp;amp; Wellness Retreat at Stunning Bodhi Tree Yoga Resort in Costa Rica! This unique, green retreat sanctuary is nestled in the Nicoya Blue Zone surrounded by pristine jungles and a short distance to world-class surfing beaches. Step into your power and transform your practice with daily yoga, meditation, group discussion and nourishing meals. In addition to a safe space to allow personal growth, you will have plenty of opportunities to adventure, explore, discover and relax. Kevin Wathey (E-RYT 200 &amp;amp; YACEP) comes from an extensive athletic background having played Ice Hockey the majority of his life. After graduating from High School in Scottsdale, Arizona, he took his talents to Florida to continue his athletic career. Returning home after 2 seasons on the east coast, Kevin enrolled in college at Arizona State University and graduated with his Bachelor’s Degree in Theater. During his time at ASU he gained strong foundations in Anatomy, Physiology, Breath and Movement. While yoga played a role in his life, it wasn’t until his acting endeavors took him to Bali, Indonesia that he adopted yoga as a lifestyle. Kevin lives his life by the mantra, “Education is what is done to you, learning is what you do to yourself.” and with this in mind, he decided to get his 200HR Yoga Teacher Certification through Southwest Institute of Healing Arts. After graduating in 2015, Kevin founded Synchronicity Yoga in hopes to share the positivity that yoga brought to his life with others. Debbie Popiel is a living example of the life-changing impact of a regular yoga &amp;amp; meditation practice. A single mom trying to make ends meet, Debbie found yoga in 2001. It transformed her ability to handle the stresses of daily life and become more present with her family and friends. Her daily experience is now based in peace and mindfulness. Debbie’s teaching style is thoughtful, grounded and fun. Her flow class is authentic with helpful cues and thoughtful adjustments. She has a keen awareness of how to hold the energy of a room and help students feel safe. Every student in her class feels as though they are the most important person in the room. Debbie is passionate about sharing the transformational gifts of yoga &amp;amp; meditation with her students. Students will leave her class feeling inspired, calm, and empowered. My time spent with Synchronicity Yoga in Sedona was truly an exceptional experience. This was my first yoga retreat and to be honest I didn’t really know what to expect going into it. I kept asking myself “Are people going to think I’m too young” “Do I have enough experience in the practice” or “Am I going to fit in with everyone going”. The moment I walked in and met everyone, all of those thoughts and nerves vanished. Kevin’s ability to bring people of different backgrounds together was a beautiful thing to experience. He created a place where we all felt safe to allow ourselves to be vulnerable and open up. Personally, I have always struggled with getting out of my “comfort” zone. He inspired every single one of us to challenge and to believe in ourselves, which not only says a lot about him as a person but as a teacher as well. As a teacher, I have a lens in which I view classes and teachers and with that it is sometimes unfair to the instructor and to my experience. Not overly critical, just hyper aware. While I am practicing I am conscious of how I show up in the class rather than just being. I’m still living on cloud 9… from the Synchronicity in Sedona retreat! I can’t even really put into words exactly how much Kevin’s retreat meant to me and how much it has affected me on so many levels, but I’ll try for those that weren’t able to attend.